Because purchasing a home is probably one of the biggest financial endeavors you’ll make in your lifetime, it’s important that you make sure that you’re fully prepared for the process. Here are some of the biggest mistakes that first time buyers make and the steps that you can take to make sure you avoid them! One big way that first-time home buyers slip up is by not taking into account all the costs that incur with purchasing a home. You not only have to save for the 20% down payment but also the home inspection, home insurance, earnest money deposit, closing cost, etc. You’ll also want to put some money aside for unexpected expenses, such as home or vehicle repairs. To help you get a better idea of how much you should save, you can ask your Realtor for a pre-purchasing total cost estimate. You’ll also want consider what you’re month-to-month payments will look like and how your new mortgage will fit into your budget. Devise a list of all of your expenses and earnings and then put them side-by-side. Include all items such as your car payment, gym membership, groceries, your subscription to the San Diego Union-Tribune, phone bill, health insurance, etc. To help you get a better picture of how much you’re really spending each month, use this chart provided by the National Association of Realtors. Make sure the number that is leftover is something that you are both able and willing to pay each month. Your credit score is one of the key components that lenders consider when deciding whether to approve your loan application or not. It also plays a vital role in determining what interest rate they are willing to give you. This is why it is important to make sure that your credit score is not only high but also accurate. A study conducted by the FTC found that 25% of consumers have found errors on their credit reports that might affect their credit scores. To make sure that you aren’t one of those individuals, I urge you to get your credit score checked a year in advance. This gives you time to fix the problem (if one exists) without setting back your home buying timeline. If you credit score is lower than expected, you can spend the next several months working to raise it by paying off some of your debts and working to keep the balances low. Getting pre-approved will save you time, money, and stress in the long-run. By getting pre-approved you can ensure that any credit/application problems are settled before you find a house that you are interested in. You will also learn what the maximum amount you can borrow and develop a practical price range so when you are looking for a home you actually know what to look for. Home sellers expect buyers to have a pre-approval level and are more willing to negotiate with people who have evidence that they can afford their home. Getting pre-approved is especially important in cities like San Diego where the market is competitive. If you think about it, getting pre-qualified will save both you, your realtor, the seller, and the seller’s realtor time. Because inspections can cost anywhere between $350 to $1,000, some first -time buyers view it as an opportunity to save a good chunk of cash. I would caution you against this thinking and urge you to get your home inspected by a professional. This will help you get a better idea of what you are actually paying for, if there are any safety issues, or if the home just has too many hidden repairs. If you add a home inspection contingency clause into your purchase offer, then you are given the right to back out of your offer without penalty if there are significant problems with the home. When searching for a home inspector you will want to make sure that you get several recommendations from friends and family and also play an active role in the inspection process. It is much better to play it safe by taking the time and money to find and pay for qualified inspector than to be sorry that you have to buy a new roof because you didn’t spring for an inspection. When buying your home you will want to think about your future with it. Is this the home you want to raise your family in? Perhaps you do, you will want to consider factors such as; whether your family will fit in that home, whether you want a yard for a dog or your kids to play in, and whether there are good schools nearby. Picture whether the future you envision for yourself is possible in this home. You’ll not only want to think about your own future, but also the future of your home. You’ll want to ask yourself if the home has a good resale value. For example, sometimes people are able to get a discount on a home because the previous occupant died there. 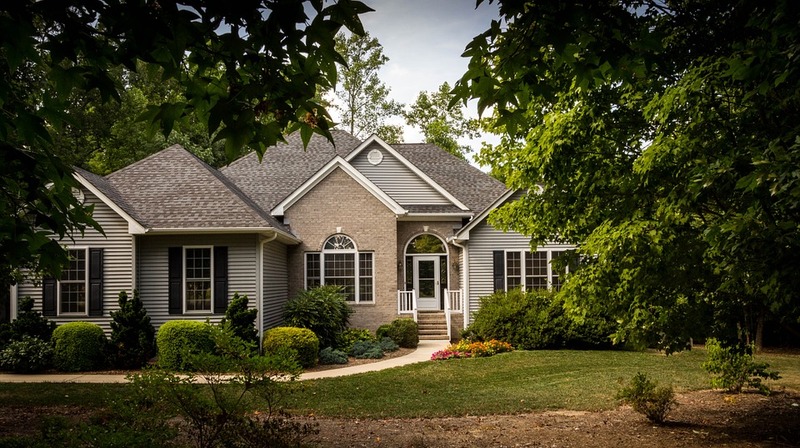 Depending on what state you live in, you might have to disclose that information when you try to sell the home and that might be a factor that turns many people away. Some other factors that affect the resale value of the home are, its’ location, the size,the layout, if its remodeled, and the landscaping. Deed restrictions are conditions, covenants, and restrictions that are placed on the deed of a home. Some examples of deed restrictions include whether you can rent out your home or not, if you can have pets, or what colors you are allowed to paint the outside of your home. These restrictions can be put into place by previous owners, neighborhoods, or the homeowners association and are thus enforceable by them. Make sure you look into any deed restrictions on the properties that have spiked your interest. It is good to know what you are fully allowed to do with your property before you buy it.